Dates: Every other Monday from 7:00-9:00pm… 3/11, 3/25, 4/8, 4/22, 5/6, 5/20, 6/3, 6/17, 7/1, etc. 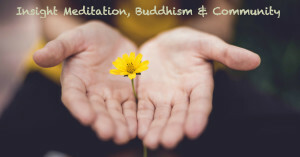 This group is devoted to practicing Insight Meditation, a mindfulness-based style of Buddhist Meditation that aims to take us deeper into a life of love, wisdom and genuine happiness. We aspire to build community, explore Buddhist philosophy in a down-to-earth way, and discover the place where our full humanity intersects with a rich spiritual life. 3/25 – Is Faith the New “F” Word? Commitment: no RSVP needed – come to just one or all! Location: In the seating area at Carioca Bowls on 827 NE Alberta St., Portland 97211. Please enter through the right-side door. The intention for this book club is to gather in community, and have a chance to earnestly discuss poignant dharma readings. This is a corollary to the meditation group that happens the opposing Monday night – the practices of meditation & study support each other very well! For each meeting, I’ll prepare some questions, perhaps a brief summary of the reading and am available to clarify any confusions. However, the Book Club will be more on the informal side, focusing on discussion and deepening understanding through each other’s lenses. Here are the dates and pages. The first number is accurate for the hard copy and PDF. In parenthesis is the ePub pages. I give away hard copies for free in person, and the other versions are available for free online here. Location: Carioca Bowls / Full Lotus PDX, 827 NE Alberta St. in Portland. Enter through the side door. There is a great power in coming together in community, and beginning the day with a period of meditation. There will be plenty of cushions and blankets available to sit on. I offer a few minutes of dharma reflections, though the period will be mostly silent meditation without guidance. 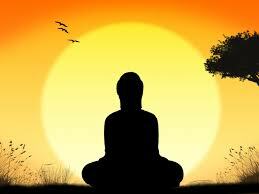 You are welcome to practice any style or method of meditation that you are comfortable with. Most days, I have about 15 minutes afterward for any questions or dialogue. Apart from the above offerings, I regularly teach meditation for The Yoga Space’s 200 and 500hr Teacher Training Programs, a few classes a week at Nike, at both for-profit and non-profit organizations, and also lead a new public workshop in Portland every months or two. 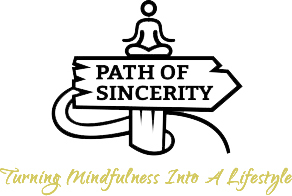 I’ve led over a hundred classes in secular, yogic and buddhist environments exploring themes like opening the heart, relaxing the mind, working with anxiety, understanding the variety of mindfulness techniques, concentration, deconstructing anger, the nature of distraction, wisdom cultivation, buddhist shadow work and many more.